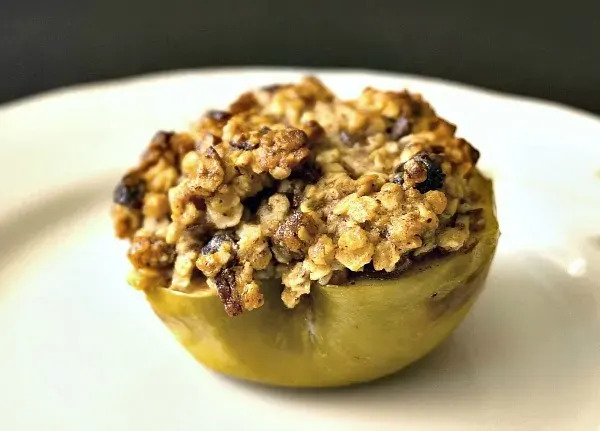 There are several things that I love about this easy baked apple recipe. First, it’s so simple to make – so much so that it’s a fun recipe to make with kids! And it reminds me of fun fall days, picking apples with my family with leaves turning yellow, brown and red on the trees all around us. Best of all, it’s delicious! 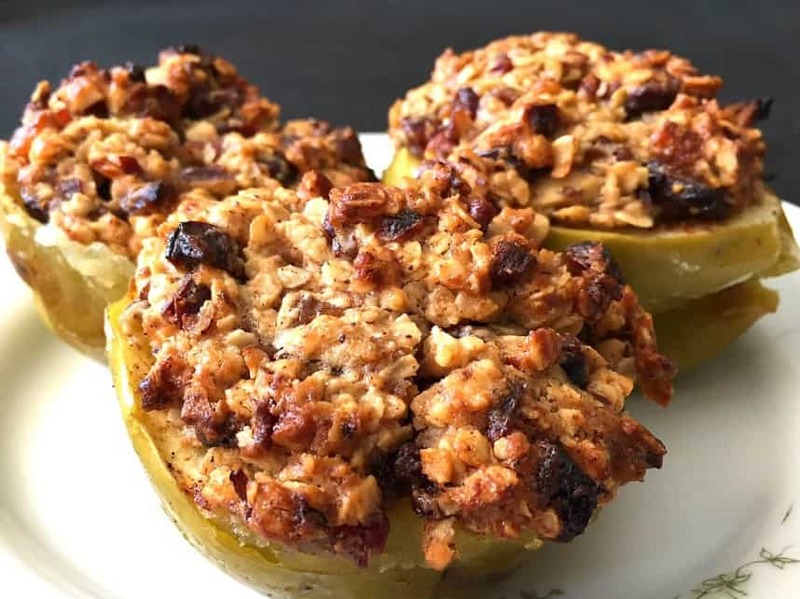 The topping is like a soft fruity oatmeal cookie on a bed of warm baked apple. It’s fantastic served right out of the oven by itself, or with a little whipped cream or ice cream if you like. And it’s also great for breakfast with a dollop of greek yogurt. Visit our Food Finds/Recipes section to see all our full collection of recipes inspired by our ongoing travels around the world. Finely chop the pecans and dried fruit. Combine with the oats cinnamon, flour, Greek yogurt, softened butter, and sugar. Cut the apples in half, and remove the seeds and carve out a small well in the center. Sprinkle the apple lightly with sugar and cinnamon (if you used tart apples). I love recipes that make the fruit the central aspect. This is perfect. We made these last weekend and they were delicious. A lovely Autumn dessert and easier than making a pie. Tis the season for tons of apples! These look incredible. 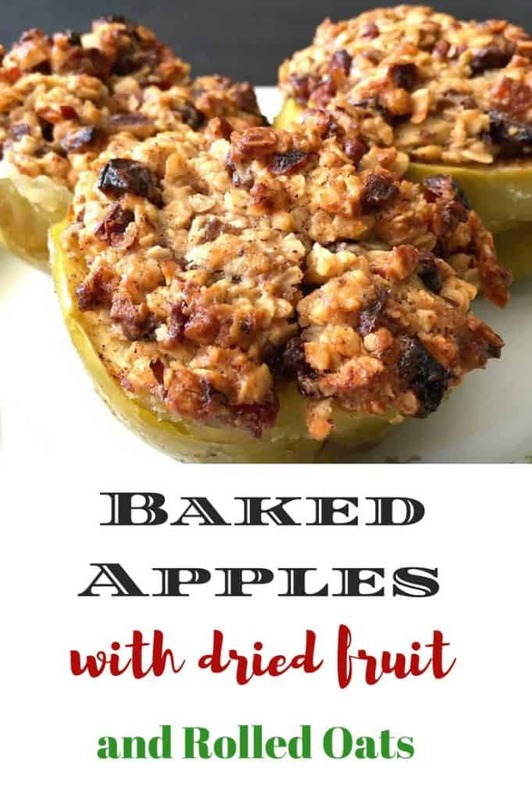 I’ve made this dessert so many times, but I’ve never thought about adding dried fruit to the topping. Genius idea!